The midwife and doctors run antenatal clinics by appointment. The midwife makes routine home visits after the baby is born. The doctor makes a full postnatal check between 6 and 8 weeks. Clinics are held on Monday and Thursday afternoons for development checks and immunisations by appointment. We are happy to provide family planning advice and offer a full contraceptive service, including coil and implant fitting. For more information visit our Family Planning page. We think it is very important that everyone, especially children, are fully immunised against serious infections. If you think that you or your children are not fully covered please ask the doctor or nurse who are happy to advise. On request we also provide vaccinations for, and give advice on foreign travel (see travel advice below). The NHS Health Check scheme is a national initiative whereby patients between the ages of 40 and 74 are invited to their GP practices for a series of health checks, including blood pressure and blood tests. 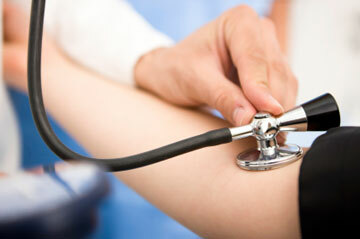 If you are in this age range, you will receive an appointment for such a Health Check. Learn more about NHS Health Checks here, or watch this video from Public Health England. Clinics are held for review of patients with heart disease. These are held by two practice nurses and supported by a doctor. Clinics are held by three of our practice nurses supported by a doctor. Four of our practice nurses have special training in this area of medicine and hold weekly clinics for Asthma & COPD. If you have asthma or COPD it is important to have regular reviews. Please make an appointment at reception. Our nurses provide up-to-date advice on vaccinations and illness avoidance for overseas travel. Please note: recommendations change all the time, do not assume you are covered. There may be a charge for some of these vaccines. For more information visit our Travel Services page. This GP-led clinic, which is held every other Wednesday morning, is for patients who have been diagnosed with dementia. Connect Well is a new social prescribing service, which works in partnership with primary care to navigate people to relevant services and support groups within the community. For more information visit our Connect Well page. Appointments are available with your own doctor or a female doctor to receive advice on women’s health matters including contraception and the menopause. Routine smears are undertaken by the Practice Nurse. Those patients on Warfarin tablets who require regular blood tests can have them done at the practice in a specific clinic on Friday mornings. Please note that appointments for this particular clinic are arranged by the hospital. Letters to confirm attendance at GP clinic for purposes of school, university, or work absence. Living with type 2 diabetes: Get advice on healthy living with type 2 diabetes. Living with type 1 diabetes: Get advice on healthy living with type 1 diabetes. Diabetic eye screening: Everyone aged 12 or over with diabetes is offered diabetic eye screening, an annual check for early signs of diabetic retinopathy. Find out more. Diabetes in pregnancy: Find out how type 1 and type 2 diabetes can affect you and your baby. Plus info on gestational (pregnancy) diabetes. Reduce your diabetes risk: Type 2 diabetes is linked to being overweight. A healthy diet can help reduce your risk. Lower your cholesterol: A fatty diet can raise your cholesterol, increasing your risk of heart disease and stroke. Get food tips for lowering your cholesterol. Top 10 healthy heart tips: Heart disease can be prevented by maintaining a healthy lifestyle. Find out the top 10 ways to a healthy heart. Women and heart disease: Heart disease is the biggest cause of death for British women. Use these 10 tips for women to protect yourself. How to look after your heart: Poor diet, lack of exercise and smoking are the main offenders behind the UK's high level of deaths from heart disease.